Now that the weather's cooling down in the northern hemisphere, it's a good time to keep things toasty. 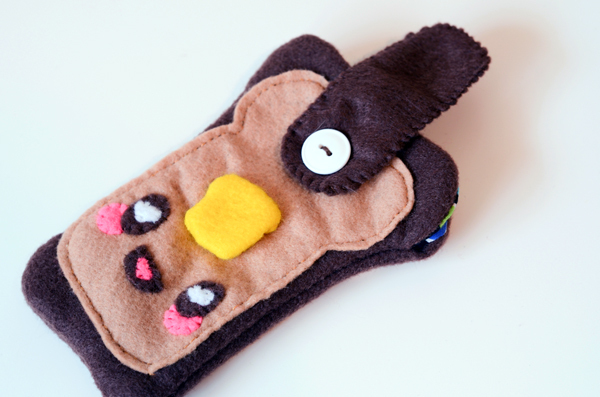 What better way than with this cute toast phone cozy? 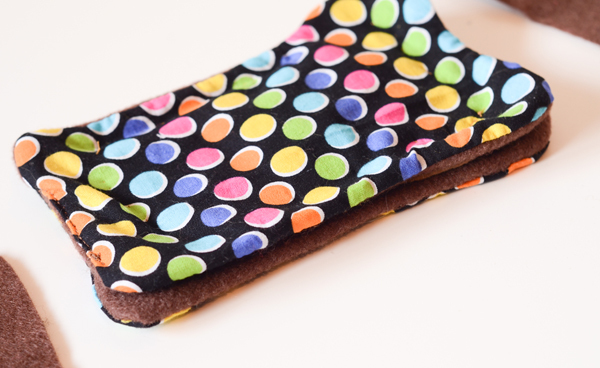 Designed to be easily altered to your phone model (or camera or MP3 player), and made from acrylic felt and cotton, this little cutie will brighten up your backpack, purse, or slide into your pocket. 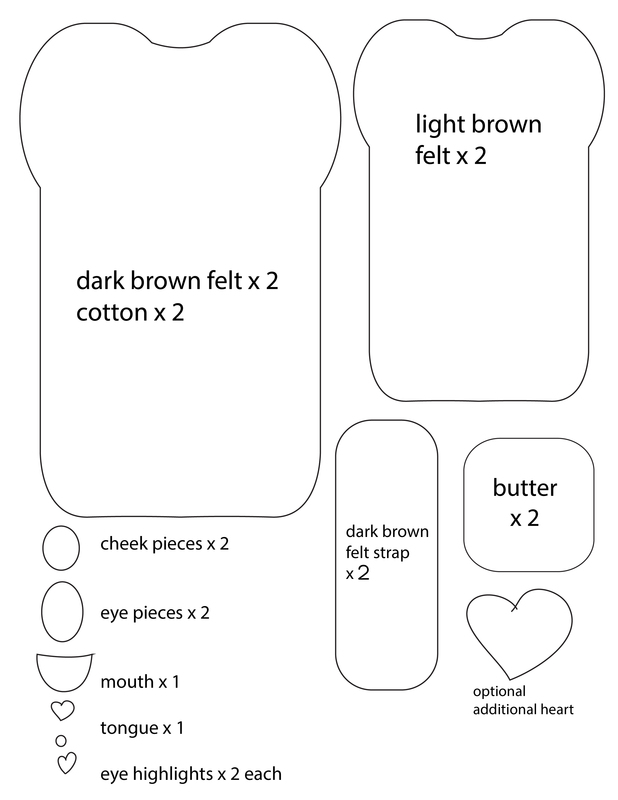 Download the pattern or create similar shapes yourself for your cute toast pouch. Compare the pattern pieces with the size of your phone, mp3 player, or camera. Make adjustments as needed. You'll want over half an inch on each side of the large toast piece in order for it to fit properly. 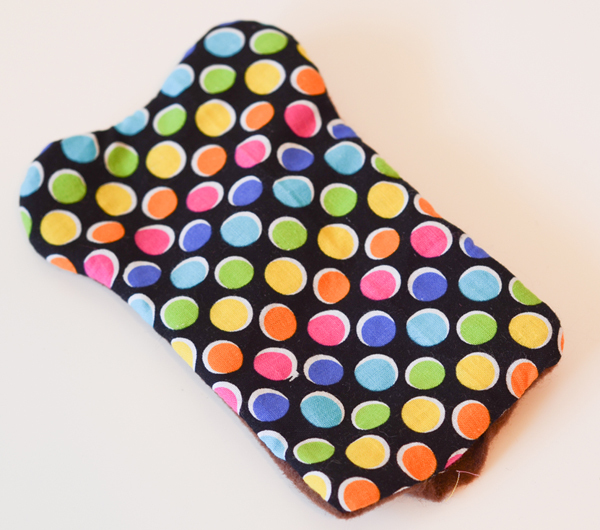 As is, the pouch can fit many popular smart phone models (iPhone5, LG Spectrum2, etc). 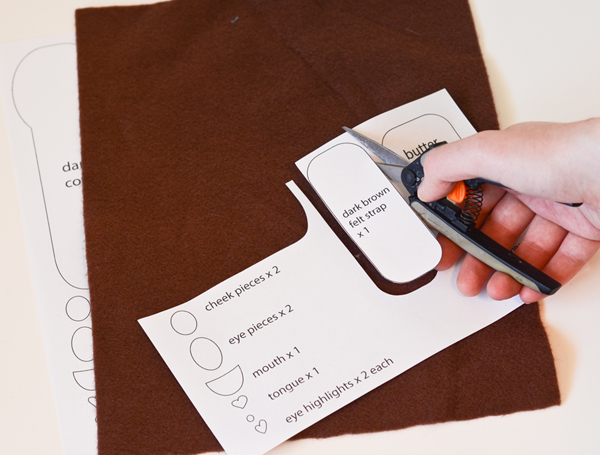 Using a separate pair of scissors (so your fabric scissors don't get dull from cutting non-fabric things), cut out each pattern piece. 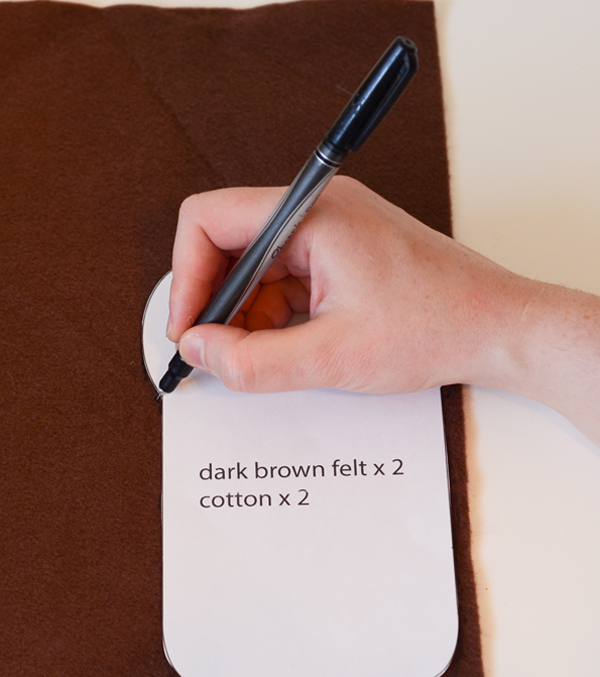 Trace your pattern pieces on the corresponding fabrics. 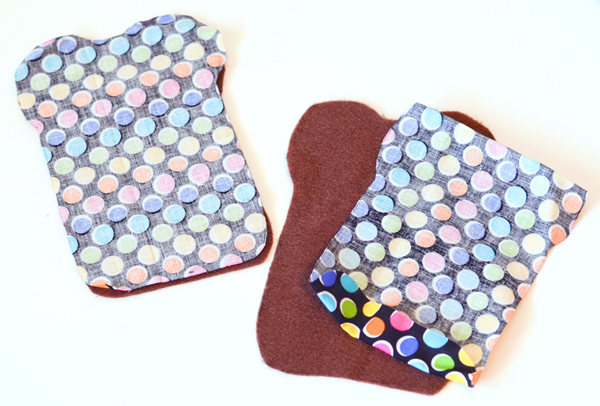 Cut out your felt cotton pieces. 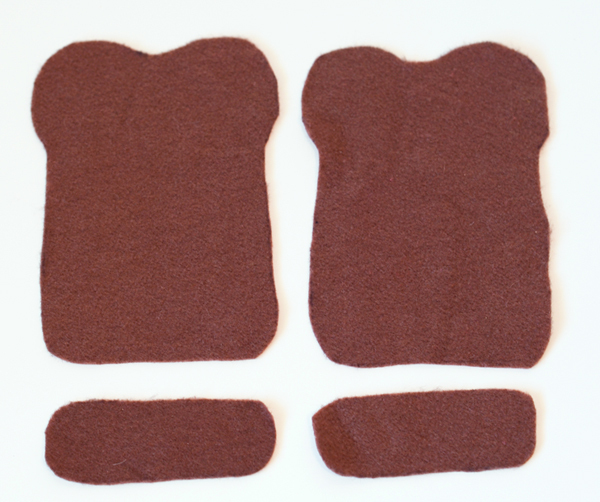 Shown are the dark brown toast pieces and the top strap piece. 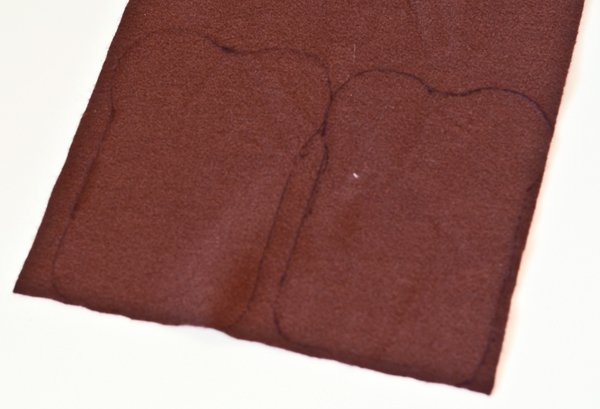 The cotton lining uses the same pattern piece as the dark brown toast components. 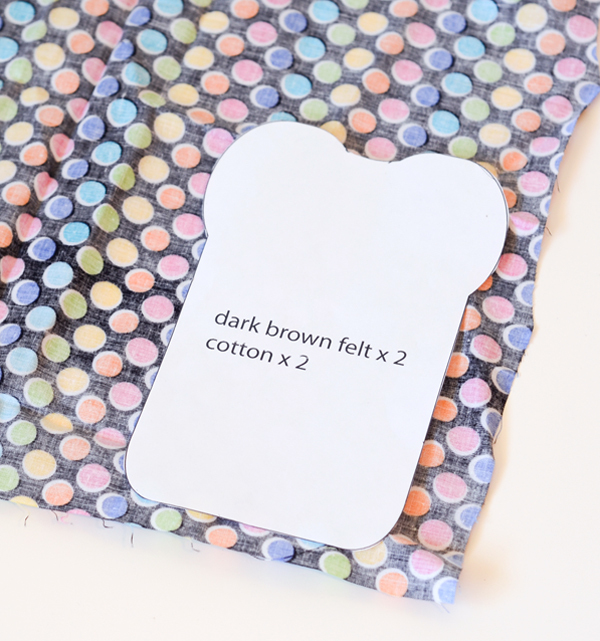 Cut out two from the colorful cotton fabric you've chosen. 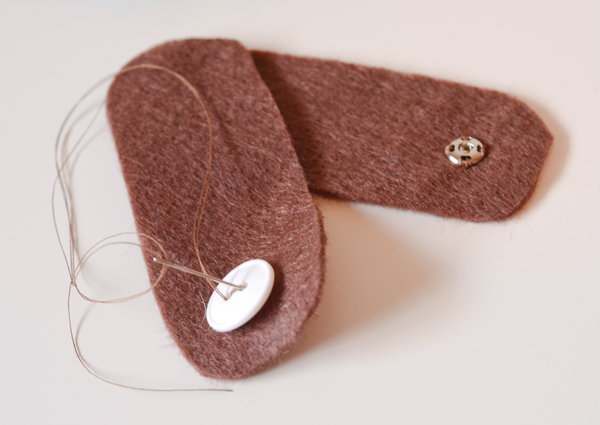 Place a cotton piece on top of a corresponding felt piece inside out. 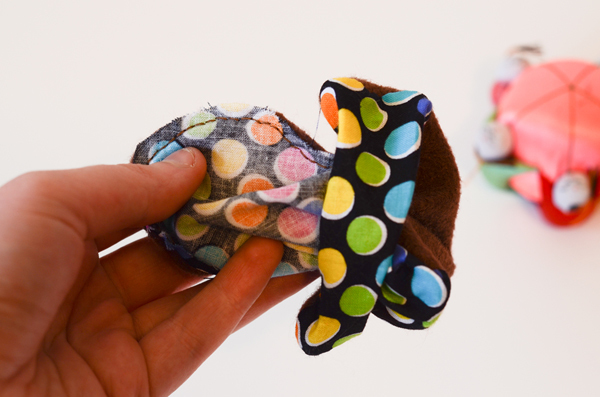 After sewing around the edges, you'll be flipping them inside-out. 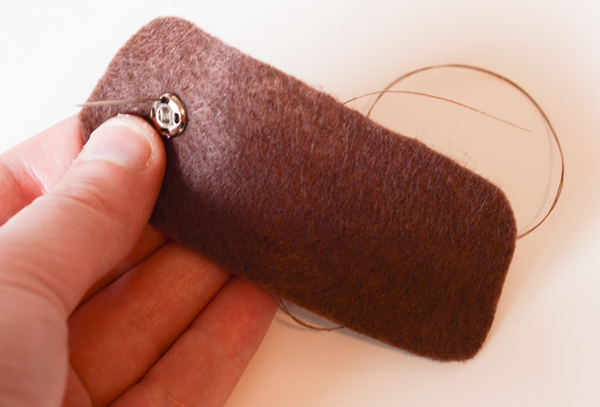 With dark brown thread (or whatever color you've chosen for this part), thread your needle (make sure it's sharp. I prefer embroidery needles for hand-sewing since they're small and my projects tend to be delicate). Starting a bit over mid-way on the bottom edge, stitch around the toast shape leaving an eighth of an inch seam allowance. 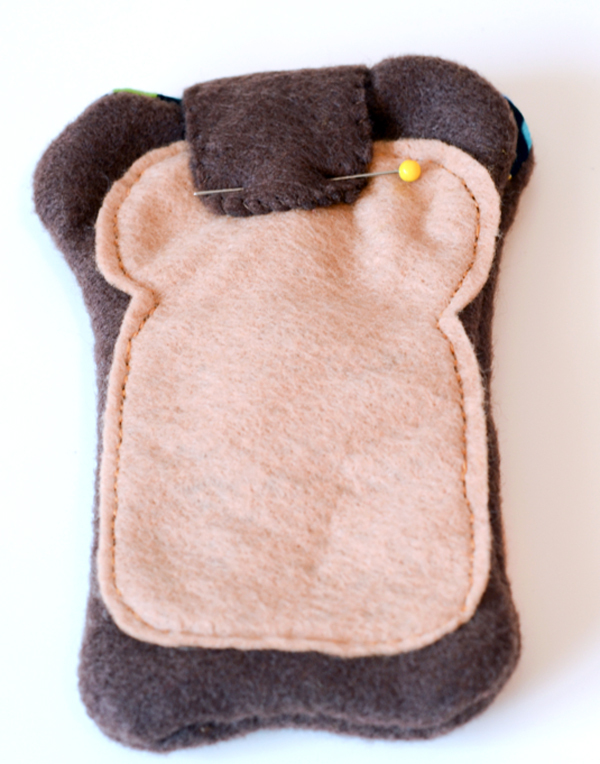 Sew simple straight stitching around the toast shape. 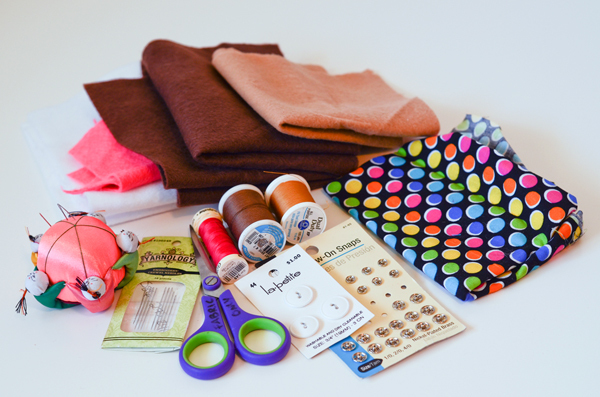 Depending on your skill with small projects, you could machine sew these pieces instead. Once you reach the other side of the toast pieces, leave an inch of space before knotting your thread and tying it off. Bring the other side of the toast piece through the one inch hole. You can use the end of a pencil or your capped pen to make sure the corners of your little toast shape are poked through properly. Repeat with the other toast half, sewing the sides up and turning it inside-out so the right sides of fabric are facing outward. Sew up the holes along the bottom edge. In doing so, flip one-eighth of an inch of the fabrics inward (basically, whatever your seam allowance was) so you'll have a clean, neat edge. 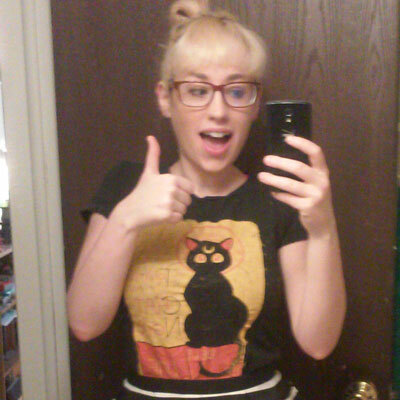 Alternately, you can whip-stitch or use any other stitch that you dig. If you haven't already, cut out your little cutie's face. The exact features you use may vary depending on your mood. Alternately, you can embroider the facial features or use three-dimensional fabric paint. 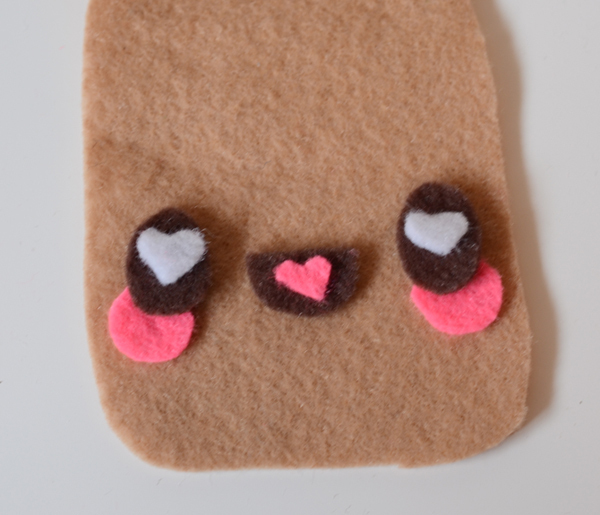 Place the facial features on the tan felt piece. 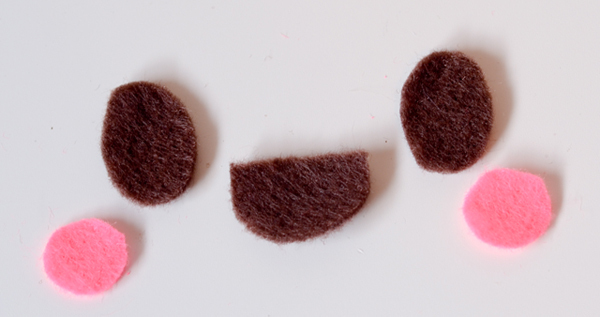 Check your tan piece with the dark brown toast pieces. There should be half an inch or so from all edges. Adjust if necessary (cut some off). Make sure your little face fits too. It's always best to have larger pieces than necessary, since you can cut them down. 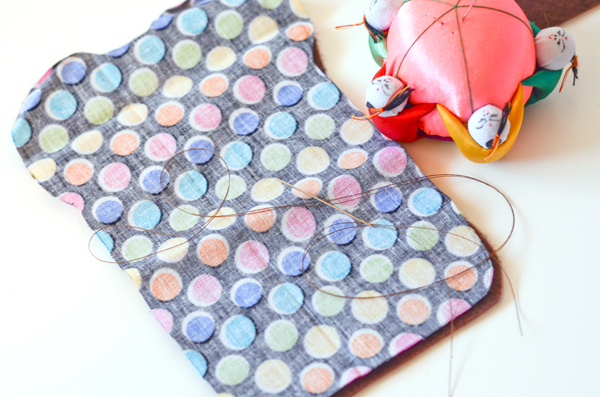 Starting with the cheeks, since they're below the eyes, stitch around the little circles with matching thread. You can do little diagonal stitches like I've done, or you could straight-stitch or blanket-stitch around the cheek circles. 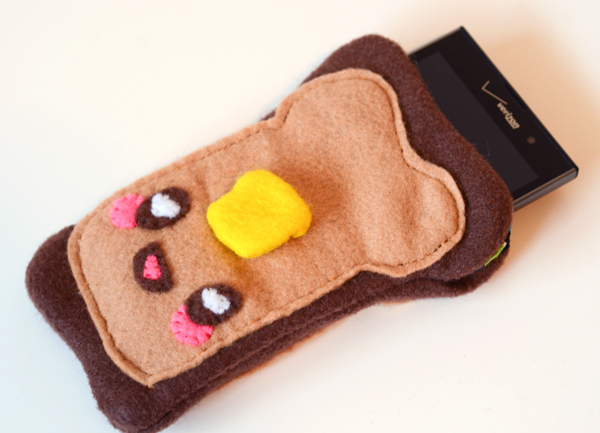 It's entirely up to you on how much or little you embellish your toast cozy friend. Sew on the rest of the facial features in the following order: cheeks, eyes, mouth, highlights, and tongue. I've included a cute little pat of butter on the toast's face, but you can skip this step if you like. Cut two squares out of yellow felt. Stitch around the edges, join and tie off. 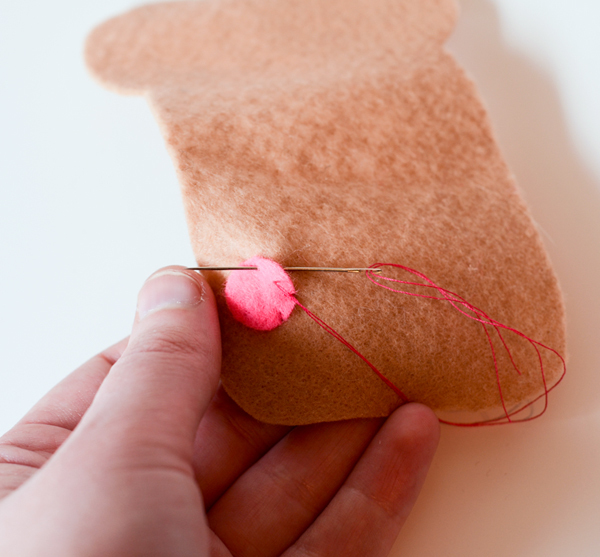 Carefully cut a slit on one side of the felt. Turn the butter inside-out and push corners out to the best of your ability. Sew the pat of butter to the center of the toast's face. Now the face is completed! 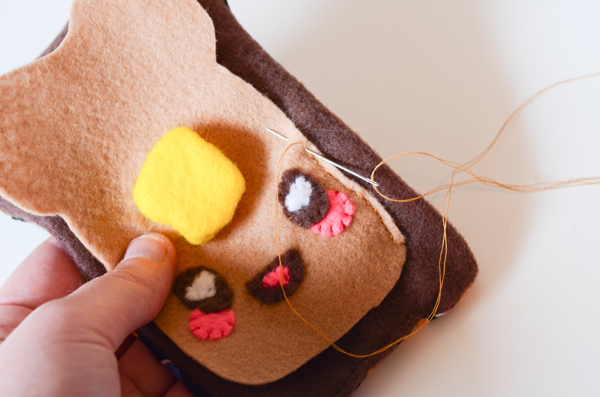 Using tan thread, stitch the toast's face to one of the toast halves. 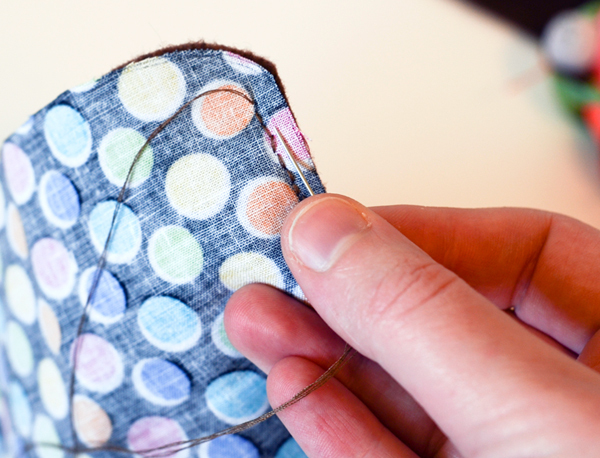 You can use your preferred stitch in this step. Repeat with the other tan toast piece and back half of the cozy. Lay your two toast halves on one another, insides facing outwards. Line up the edges and pin together if it helps you keep them where they need to be. 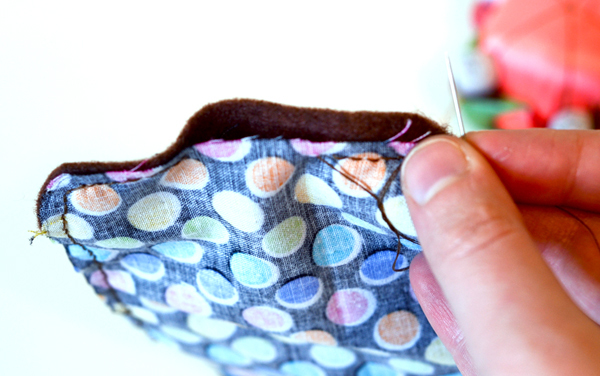 Starting about an inch away from the top edge, sew around the halves, one eighth or a quarter of an inch away from the edge. This depends on how much space you have for your phone. When pinned together, try testing it! 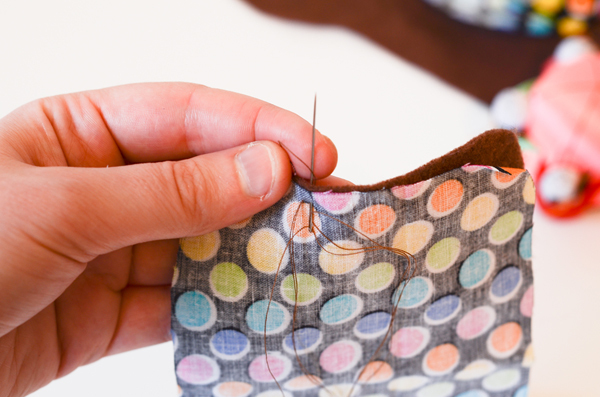 Stop sewing once you reach the other side, an inch (or so) away from the top edge again, and tie-off. 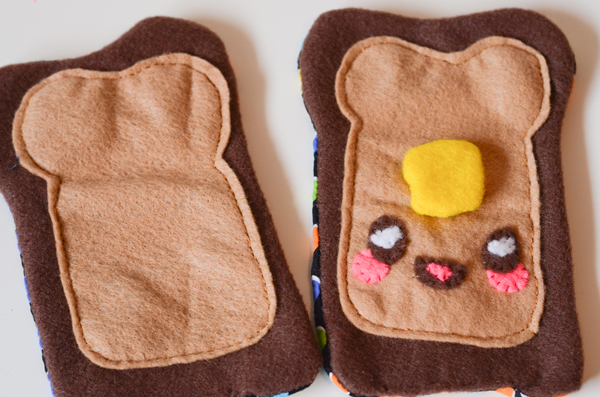 This will allow you to have a snug cozy and keep the cute bread-shape to your toast slices. Turn your newly sewn cozy right-side out. Sew one snap piece (I chose the side that the snap fits into) to one of the strap pieces. Sew the button on to the other. The snap has four holes. I stitched around the snap so there are two stitches in each hole. 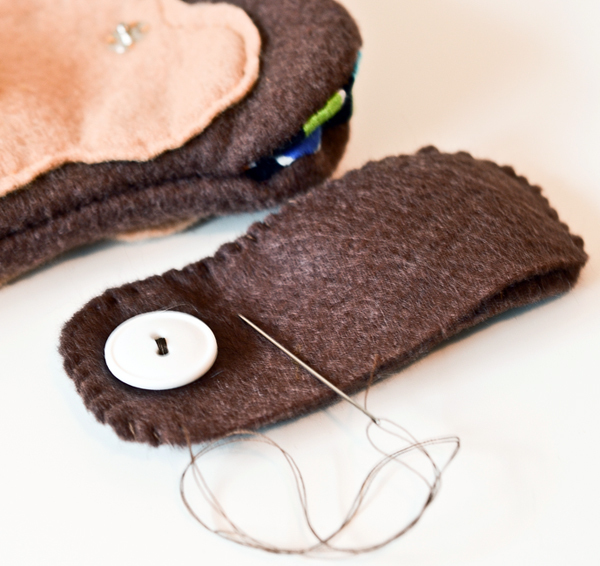 Basically, you just need to stitch on the button to secure it without pulling the felt too much. 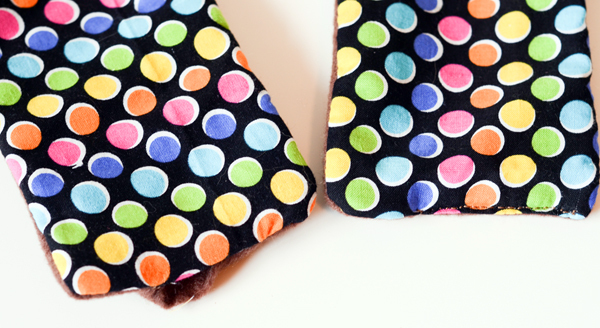 Sew the closure strap bits together, snap and buttons facing outward. In this case, I whip-stitched around. 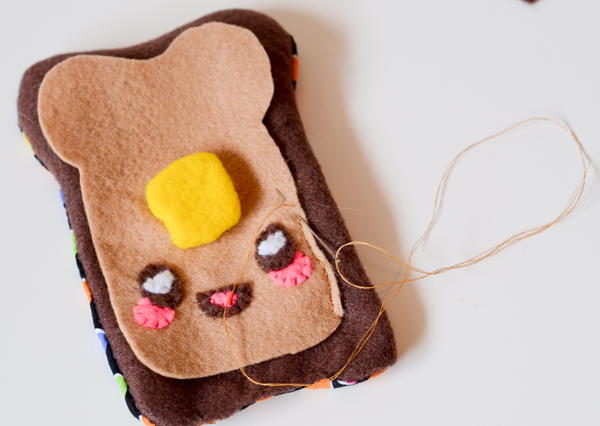 Pin the strap to the back side of the toast pouch. This will allow you to figure out the other snap piece's location on the front so it comfortably closes around your phone. Once you're satisfied with the placement of each snap, sew the other half to the front and the back of the strap. Make sure you're only sewing the strap to one half of the toast. 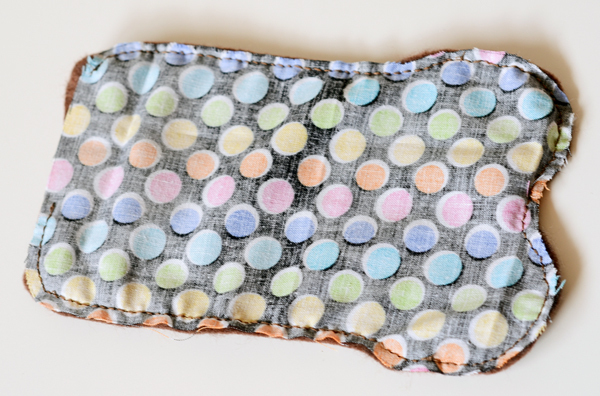 You don't want to sew the pouch closed. 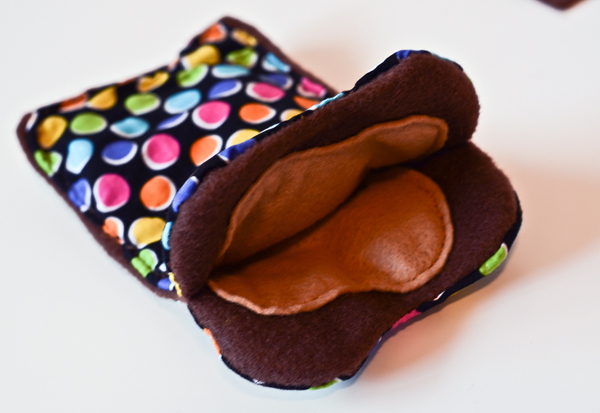 Now your toast pouch is finished and ready to go out for a night on the town! 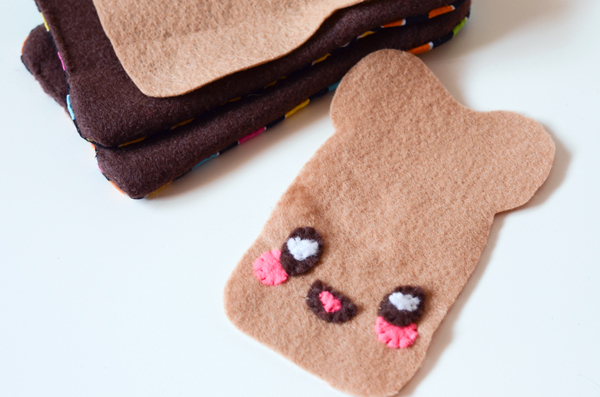 Make these little cuties for friends, family, or for all of your electronic devices. 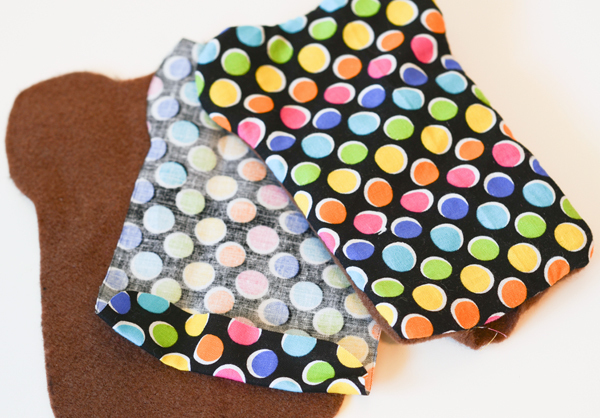 Experiment with other fabrics, like fleece or minky, for a plush-like texture. Do you love kawaii craft? Let us know how you went with this project. We'd love to hear from you.